modern shape. Two-tone stone pillar goes topsy-curvy, illuminating a modern play of marble and steel. Honed to a smooth finish, sculptural base of white carrara marble reverse-supports a contrasting top tier of black lacquered steel. Oversized black steel drum shade rings a soft glow elevated through 3 circular cut outs. 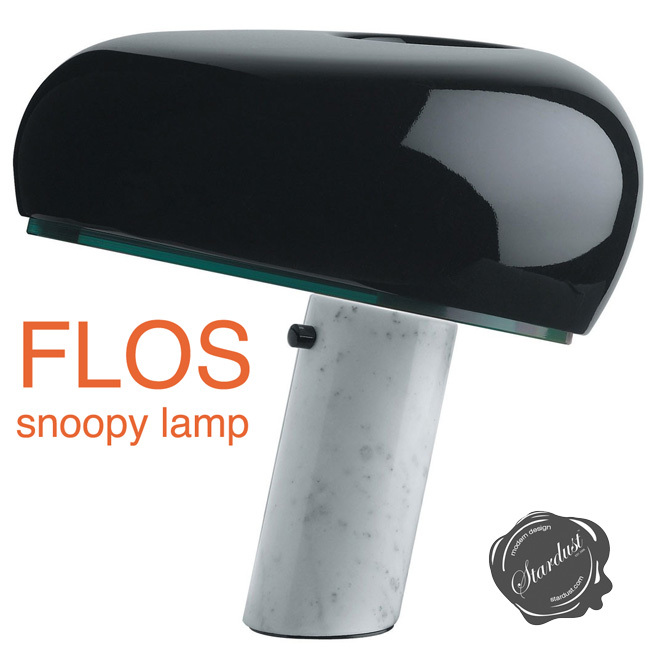 This is the Flos Snoopy Lamp. 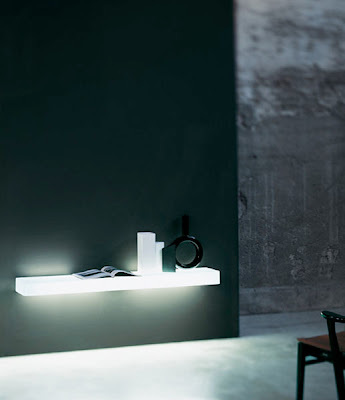 Snoopy by Flos from Stardust. The Snoopy Table Lamp was designed in 1967 by the Castiglioni brothers. Its design by Achille and Pier was made to last with its base made with the finest marble from the town of Carrara Italy. Everybody loves Snoopy don't they? 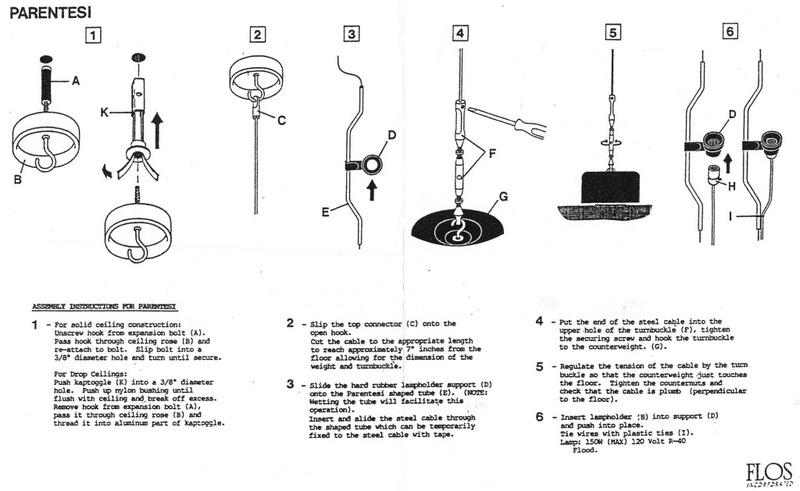 Their Snoopy Lamp of 1967 was indeed inspired by the cartoon character, illustrated by Charles Shultz, with a marble base to stabilize the egg-shaped metal and glass shade. 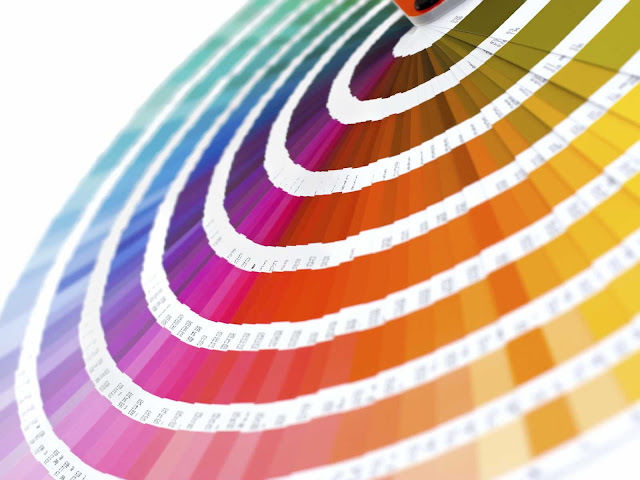 Snoopy is a 1967 design from Flos by Pier Giacomo and Achille Castiglioni and its profile and monochrome coloring reminds us of Charlie Brown's silent yet extroverted beagle. The white marble base contrasts beautifully with the rich glossy black of the enamelled reflector. Light is diffused from the bottom of the reflector, making it a fantastic desk, table or side light. Like Charles M. Schulz's creation this Snoopy is a true classic. The Flos Snoopy lamp consists of a cylindrical base in white carrara marble, angled relative to the slab, which is blocked by the holder, a disc of transparent glass. This glass is very thick and has a hole in ground to support a lightweight aluminum reflector painted over with three holes for cooling.